This is part five of my “Thoughts on…” mini series. The first four parts were on Kenners, Customs, (LPS) Petites and Middies. 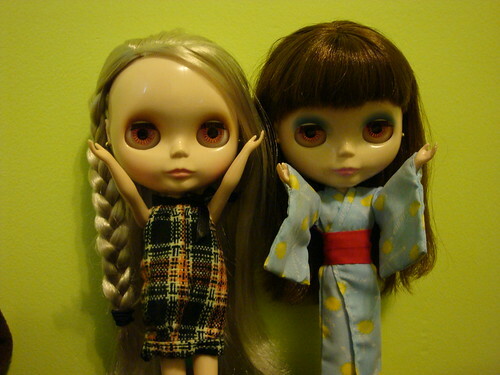 It just seemed right to talk about the stock dolls. 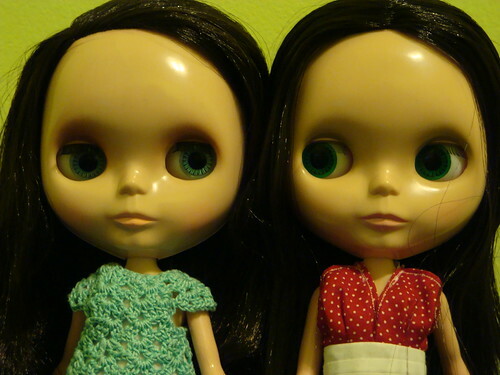 After all, I wrote about custom Blythes! 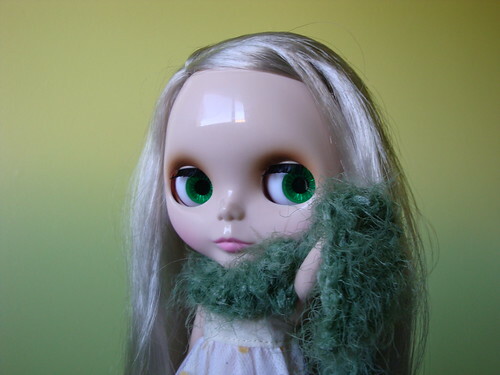 My very first Blythe was a stock Cappuccino Chat (you may have heard of her…). 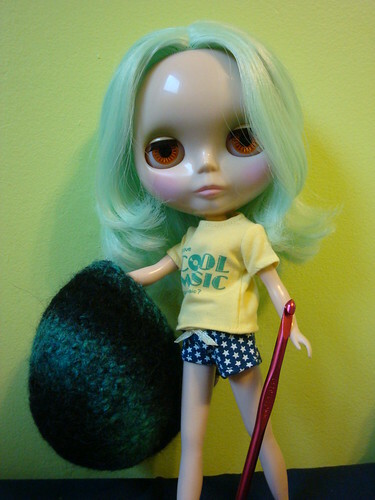 From her, I went on to add Love Mission, Simply Peppermint, Margaret Meets Ladybug, Punkaholic People and Velvet Minuet to my doll family. 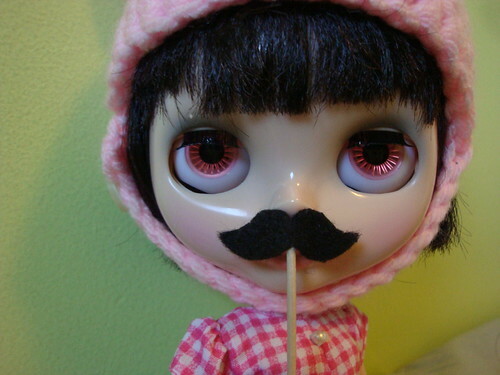 The first six Blythes that I had were all stock. I’ve only done minor changes to some of them (changed strings, sleep-eyes, chip changes) – nothing drastic at all, I’m a bit boring that way. Even with a family that extended into Kenners and a custom, stock Neos are still my first love. Some people hate the stock shine, but I don’t mind it at all. You learn to work around it in photos, or you learn not to care as much. Stock Neo Blythes were my introduction in the world of Blythe dolls, and while I can appreciate custom work, Kenners and the other sized Blythes… Stock Neos will always hold a special place in my heart. orange chips that sometimes just work….